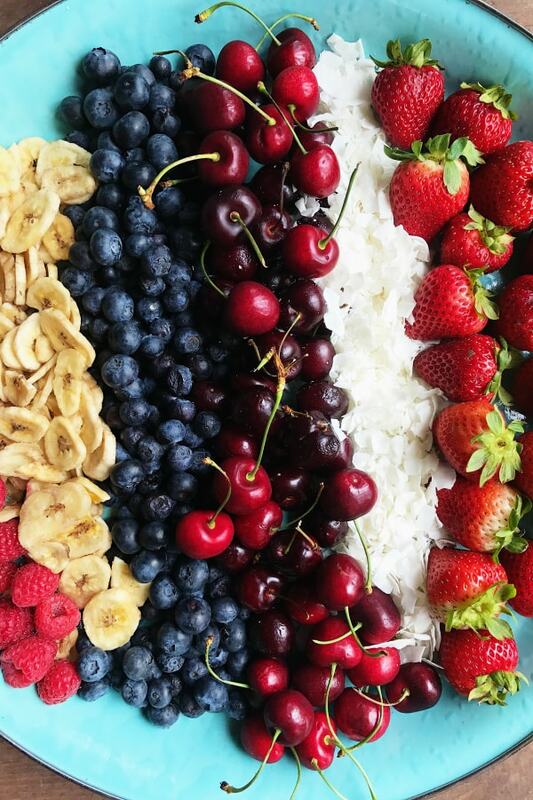 Just in time for your patriotic party, enjoy this Fourth of July Fruit Berry Platter Recipe, a healthy display of berries, banana chips, and coconut chips! 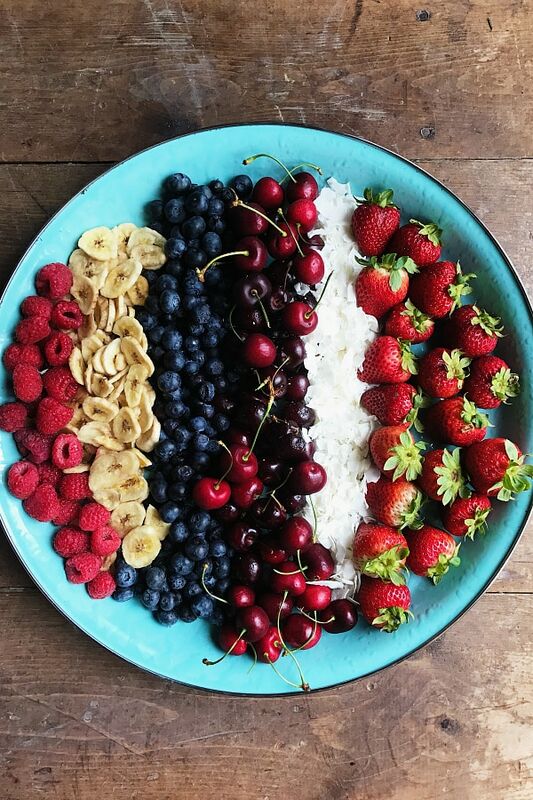 Making that perfect red, white and blue fruit platter can be overwhelming, especially if you are short on time and you don’t have all the ingredients. But you can make something beautiful with these easy ingredients I’m sharing today! 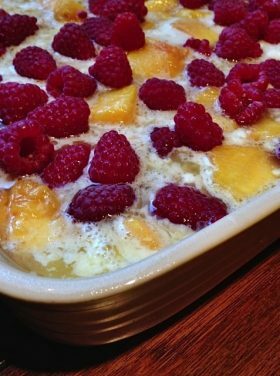 Mouthwatering and easy, people love to munch on healthy foods, and I love this idea for a breakfast or brunch–for the Fourth of July! I overheard a friend saying, actually two friends at two different times, “If only I were a food blogger,” as if to say, I’ve got it easier than their job. Their job, being authors and writing a different kind of blog. True, it’s fun and rewarding being a food blogger, but it’s also challenging and hard work. It takes writing discipling, creativity coming up with new recipes, photography skills, and a whole lot more. A whole lot more for me is actually sharing food. Good, healthy food. Entertaining moments, that are very intentional for our family. 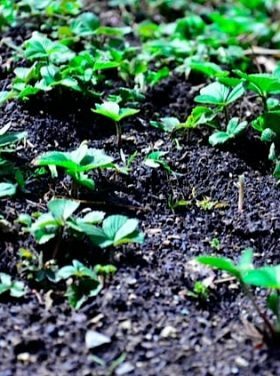 So food translates to opening our home and creating space for others! 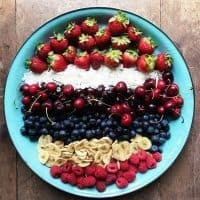 I recently made this Fourth of July Fruit Berry Platter Recipe, and everyone loved it. The blue tray I picked up from Target, and it took less than 5 minutes to arrange. If you’re looking for a few patriotic recipes for the week ahead, have you tried my DOUBLE Chocolate Texas Sheet Cake recipe (watch the video)? Or my mom’s Homemade Vanilla Ice Cream (a must-try … watch the video! 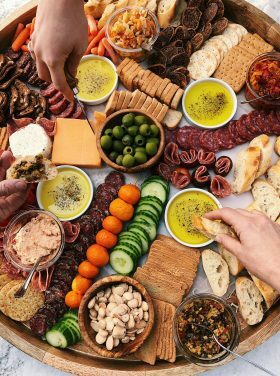 ), or here’s another “meat, cheese, and olive board” appetizer recipes that your guests will dive into. 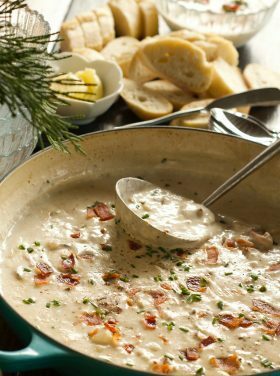 Lastly, have you thought about serving my BEST Clam Chowder for the 4th? (head nodding up and down, yes, yes). 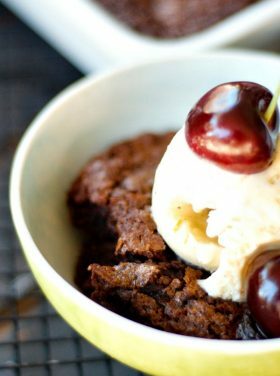 Oh, and a reader asked what brownies are served with my mom’s homemade ice cream: Vanilla Texas Sheet Cake! For me, being a food blogger is not just pumping out the recipes, it’s sharing ways of hospitality, and ways to make our world a better place. It’s about changing people’s lives, bringing them joy, and encouraging them through food! I love the daily questions and positive feedback. I love hearing your hospitality stories! So from this blogger to you, my faithful readers, Happy Weekend! 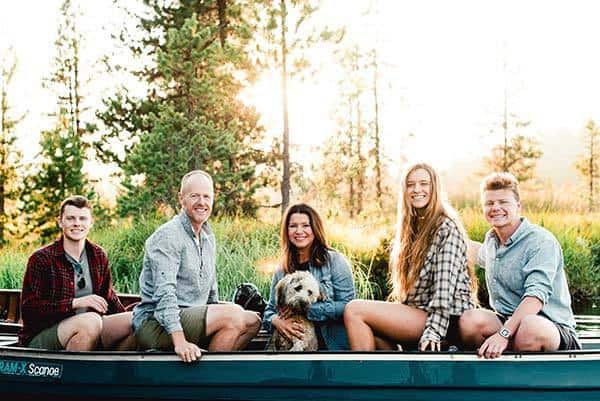 I hope you enjoy your family, friends, the sunshine, get into the beautiful outdoors this weekend. I hope you discover something new about yourself, something you can share and encourage others with, and make today count! 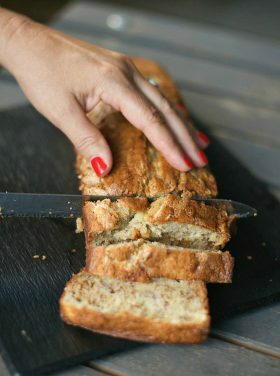 Double the recipe for a larger spread! Lightly rinse the fruits (pat with a paper towel to dry). 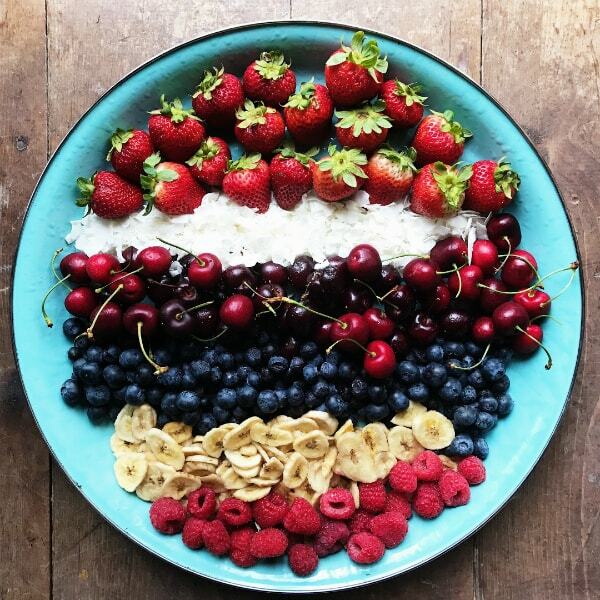 Arrange on a large platter in rows, alternating the fruits with the dried fruits. More 4th recipes: Marshmallow Pops [Living Locurto], Red, White, and Blue Stained Glass Jello Stars (so cute!) [Brown Eyed Baker], Meringue Cookies [Sugary Sweets], Red, White and Blue POKE Cake [Spend with Pennies]. 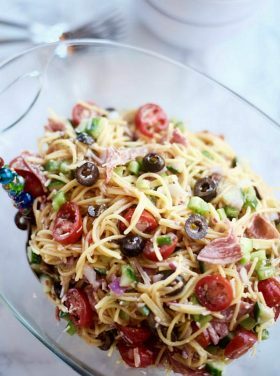 Appetizers Breakfast Charcuterie/Cheese Board Desserts Entertaining Gluten-Free Holiday Foods Holiday Parties Hospitality Recipes Relationships summer Vegetarian Why Reluctant? Looks yummy! People are quick to make assumptions…I’m sure I’ve made my own share of assumptions when reading other people’s blogs. Especially when I have my own, but it’s so simple and basic..lol. It takes time and work, both of which I haven’t put a whole lot into so what can I expect. People are funny though. I choose instead of being jealous or envious, to learn from, enjoy and be excited about other’s successes.